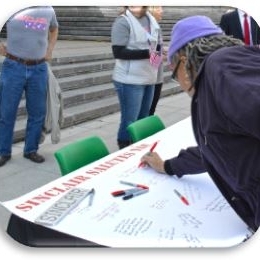 At a special ceremony on November 10, many students, faculty and staff signed a banner to support veterans, but there is still space for your name! Please stop by the Veteran's Services office on the third floor of Building 10 and sign the banner. When the banner is full, it will hang in Building 10.